The President doesn't like the fact that people are politicising agencies and departments that are specifically meant to not be political and not meant to be monetised off of security clearances, the presidential spokesperson said. White House press secretary Sarah Huckabee Sanders said Monday that Trump was exploring "mechanisms" to revoke security clearances of six officials who served in the Obama Administration: ex-CIA director John Brennan, former Federal Bureau of Investigation director James Comey, ex-national intelligence director James Clapper, former CIA director Michael Hayden, former national security adviser Susan Rice and former deputy Federal Bureau of Investigation director Andrew McCabe. Former top officials often maintain security clearances in case they need to be consulted on various matters pertaining to national security. Some of the former officials on the list have made "baseless accusations of improper contact with Russia" that "provides inappropriate legitimacy to accusations with zero evidence", Sanders said. He also said that presidents are not normally involved in decisions about granting or revoking specific security clearances. "I think this is just a very, very petty thing to do", Clapper said. Clapper confirmed to CNN last week that he and other intelligence officials briefed Trump on Russian President Vladimir Putin's ordering of cyberattacks to attempt to sway the 2016 presidential election. 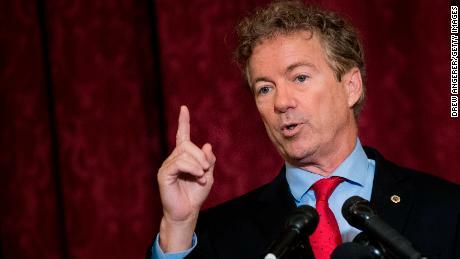 Rand Paul of Kentucky tweeted that he was planning to talk to Trump about revoking Brennan's clearance. The idea of moving to revoke Brennan's security clearance gained traction recently in conservative media circles. Others, like Hayden, say they no longer receive classified briefings and don't intend to change their behavior as a result of the threat. "Public officials should not use their security clearances to leverage speaking fees or network talking head fees". "An enemies list is ugly, undemocratic and un-American". Security clearances are good for 5 years. "Won't have any impact on what I say or write". "If he chooses to do it for political reasons, I think that's a awful precedent, and it's a very sad commentary, and it's an abuse of the system", Clapper added. Attorney Greg T. Rinckey, who specializes in national security and security clearance cases, said that while presidents have broad authority to grant clearances, there is "some debate over whether or not the president has the authority to revoke" them. "This is a free country, we have freedom of speech, we have people giving their opinions, and this is just beyond the pale", he said.